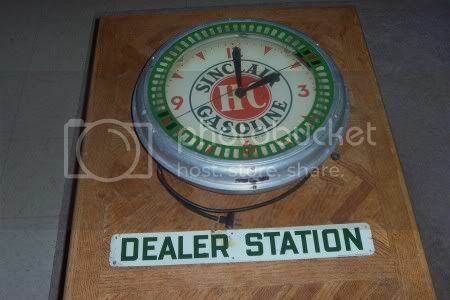 This months collectible of the month is Gas/ Oil/ Auto related advertising clocks. I know there are some real killer time pieces out there. Please just petro/ auto related clocks only. 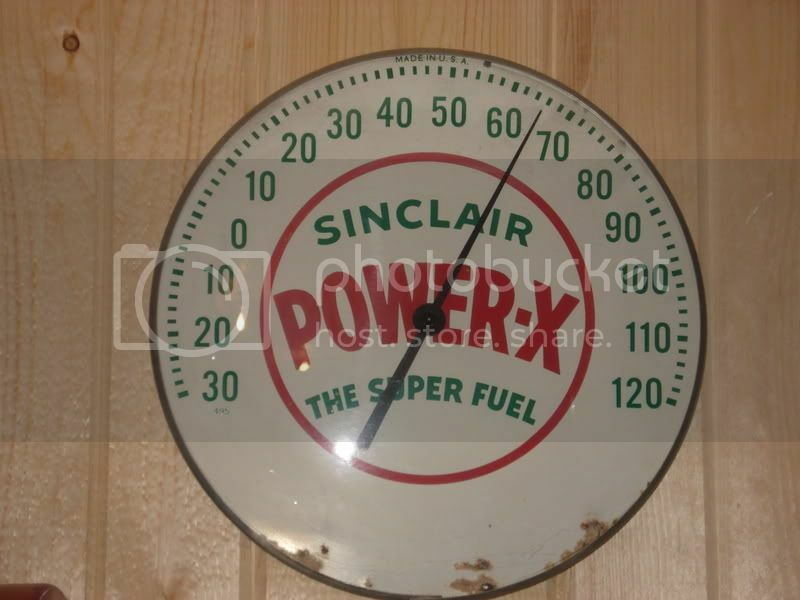 For those that wish to post their non petro advertising clocks please click on this link to the non petro. a Mobil Select-o that I got at the Columbus show a few years back. 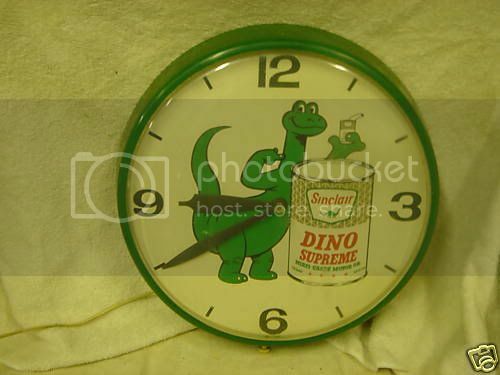 This is one of the best looking clocks I have ever seen. I photographed this one at Columbus about 3 years ago. Here is a Skelly clock I photographed in an antique mall in Ohio. 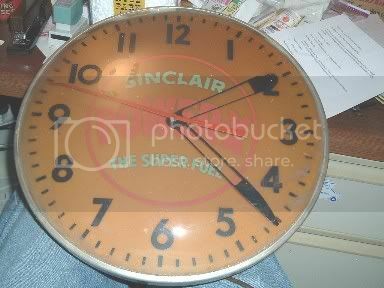 You never see this clock with the bottom attachment like this one has. Great Clocks Guys!! Keep them Coming!!! Thanks Paddy for doing the COTM it is Neat to see whats out there. 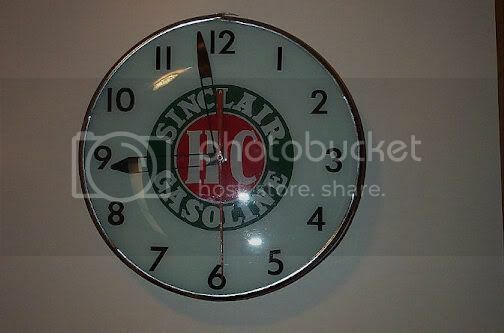 A clock I made a few years ago. It was a station in Saltese Montana. Still there but it looks a lot differant now. My first try at coloring photos. 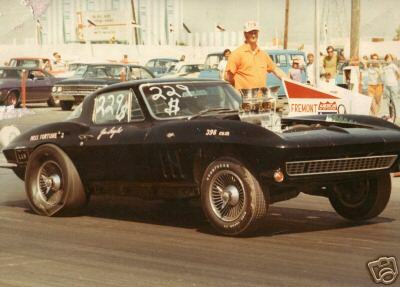 From the mid 1990's. Two versions. A dealer gasoline volume promotion from the 1990's. Hey Paddy Man, I got a few pictures to add. 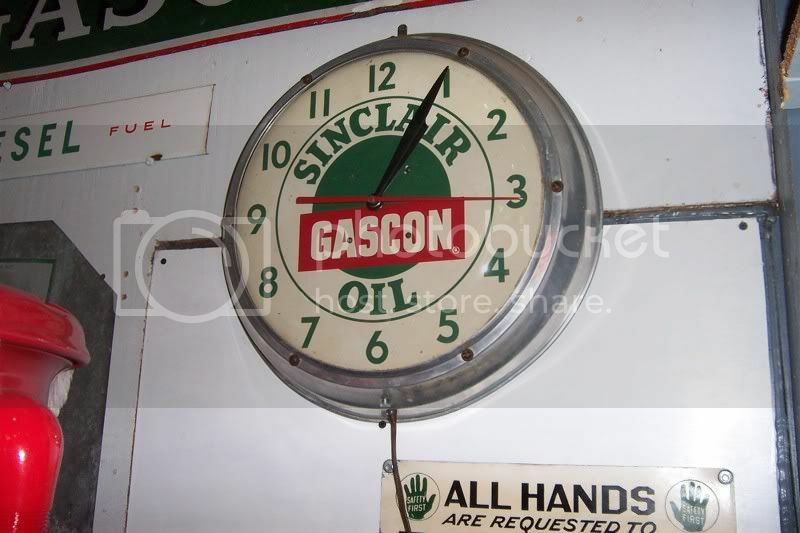 Sinclair Gascon clock. I am told this may be an industrial product? 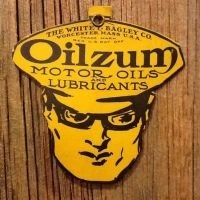 Every one sees this clock as my avatar when I post something but thought I'd share it again. 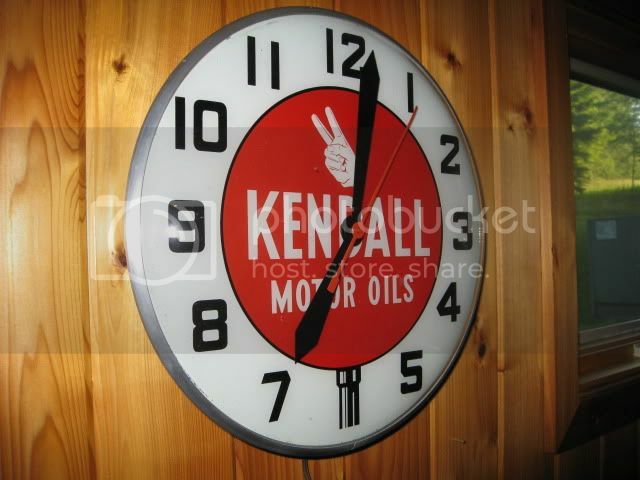 This clock came from an Original Cities Service dealership in Oslo, Minnesota and was sold to Oslo Steve by the descendants of that original ownership, and he subsequently sold it to me! It had never been used and came in its original, dated box! Nicest clock I own!